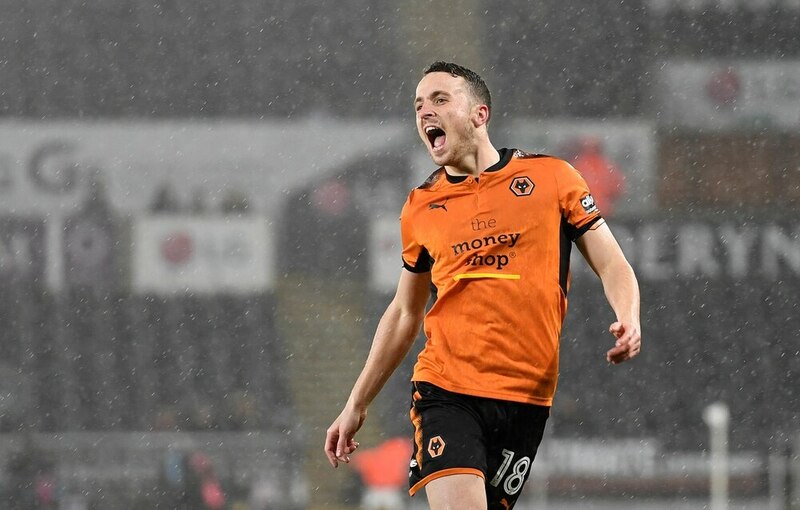 Wolves could still make star player Diogo Jota’s move a permanent one this month – but are unlikely to spend big on a new striker. The January transfer window shuts a week tonight and the club have considered splashing the cash to boost the ranks ahead of their promotion push in the coming months. However, at this moment, in time they don’t plan to bring in a new senior forward or a right wing-back, believing there’s enough quality and competition in the squad to secure promotion, the Express & Star understands. Signing a couple of young players for the future is likely to be Wolves’ main business over the next week with the club eyeing up some potential young stars from Europe. Capturing Jota on a permanent deal also remains an option. The Atletico Madrid loanee is the club’s joint top scorer on 12 goals. Wolves have exclusive options to buy all five of their loan players – Jota, Willy Boly, Leo Bonatini, Alfred N’Diaye and Ruben Vinagre. Jota, Bonatini and Boly are the most likely ones to join permanently in the long run but with the club still in the Championship and having spent £50million in the past 18 months it is not an option to buy all three this month with Premier League football not secured. Meanwhile, utility man Ben Marshall is moving closer to a Molineux exit. The 26-year-old, who hasn’t joined the first team squad for their warm weather training camp in Spain this week, is being chased by a number of Championship clubs. Wolves are hopeful they will be able to sell Marshall, rather than loan him out, and recoup the £1.5million they paid for him just a year ago. Sunderland have shown interest but it's thought to be unlikely that the Stadium of Light will be Marshall's destination.